Behind the bullet, the tip of a fencing blade is the second fastest-moving object in Olympic sports. 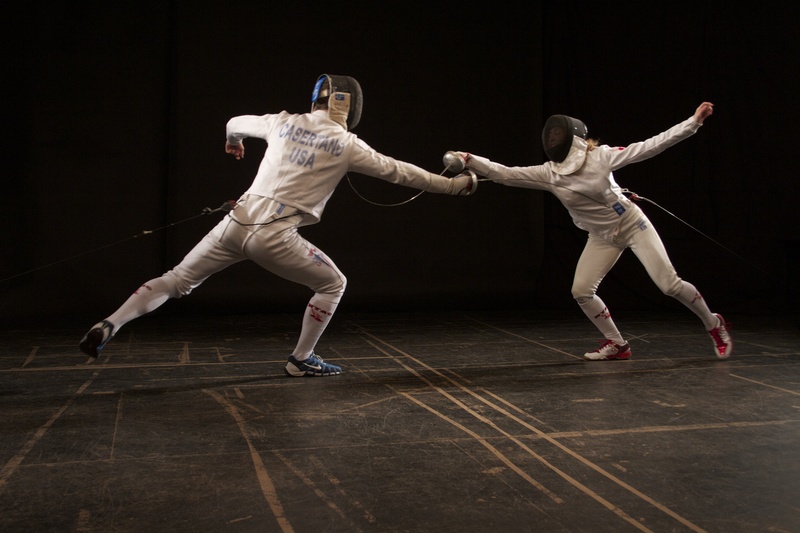 Speed of Fencing captures the grace and movements of New York’s top epee fencers. Using high-speed photography, amateur spectators will be able to see some of the fastest actions in all of sport for the first time. For the untrained eye, a flick scores without notice. Body signals and feints are too acute for a novice. And what happens when someone blinks at the wrong moment? Fencing has some of the fastest moving objects in sport, which is arguably why it is hard to watch and not spectator friendly. All of these actions will be realized in slow motion with high-speed photography to allow the viewer to appreciate and see what happens in the mind of a trained fencer. These actions appear slower to show the speed in which the mind is calculating each action from years of training and repetition.